Air hockey is the popular game and probably everyone has played it on the pier or in a games parlour at some time in our lives. 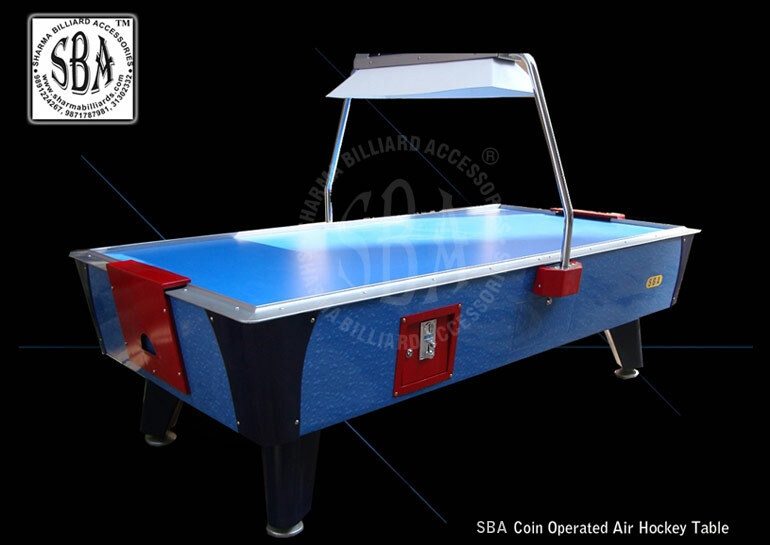 We manufacture standard size Air Hockey Tables (4 x 8 feet). The tables are fully coin operated with Score Counter and music system. These tables are quality products from us for commerical use as well as home use. Special features : tables are fully coin operated with Score Counter and music system.